The little boy who’s not so little any more (sigh!) has taken a liking to musical instruments specially with playing the drums and his xylophones. Aside from enrolling him in his regular everyday classes, I’ve supplemented his learning with once a week classes in Kindermusik. 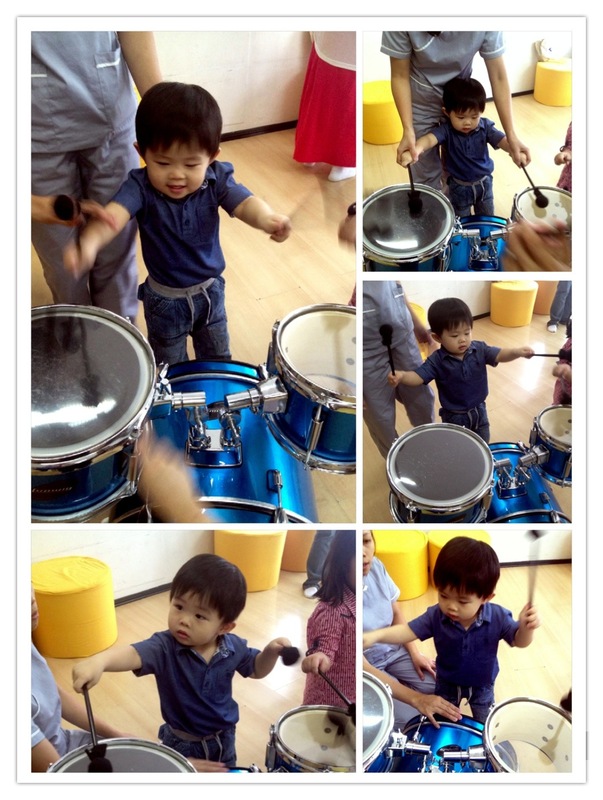 This Month’s topic is about Go and Move, moving with the rhythm of various musical instruments as well as expressing their feelings through body movements. What has your little one been up to? How do you develop their potential talents?